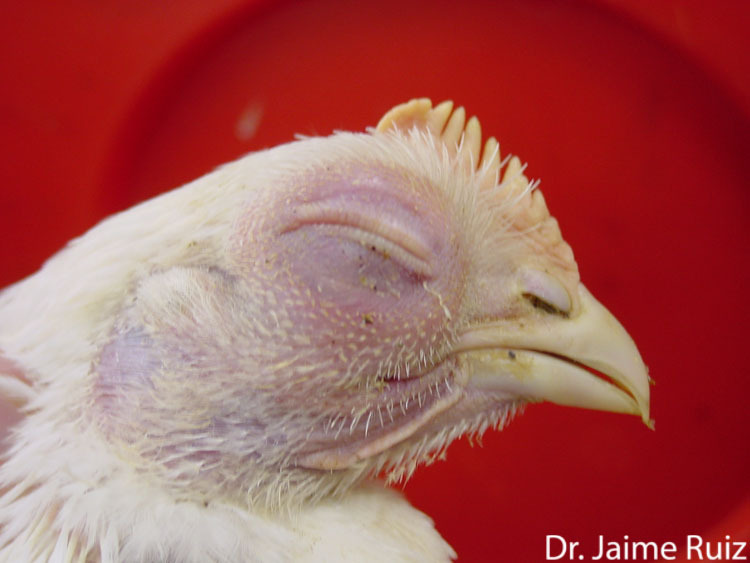 On post-mortem examination, yellow gelatinous to purulent edema may be found in the swollen subcutaneous tissues of the head, neck, and wattles. The face, particularly around the eye, is markedly swollen and the bird’s eye is swollen shut. The tissue is red and there is a small amount of dried discharge on the periocular skin.